The list could go on forever. 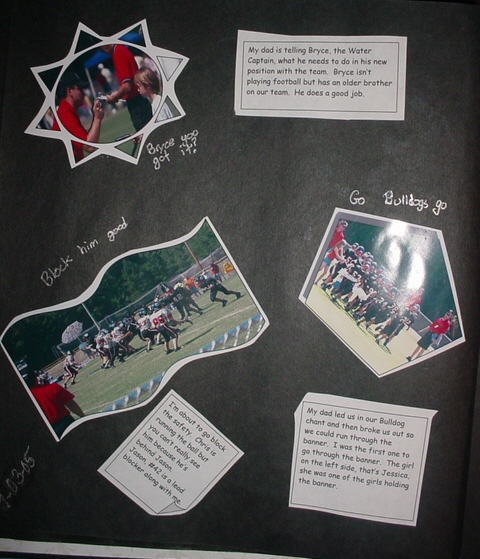 Scrapbook pages are best if they personal. One year a child did a different picture each week for the entire year about her trip to Italy. She had lots of photos. If you do not have a picture and you would like to take one with my camera at school that can be arranged. 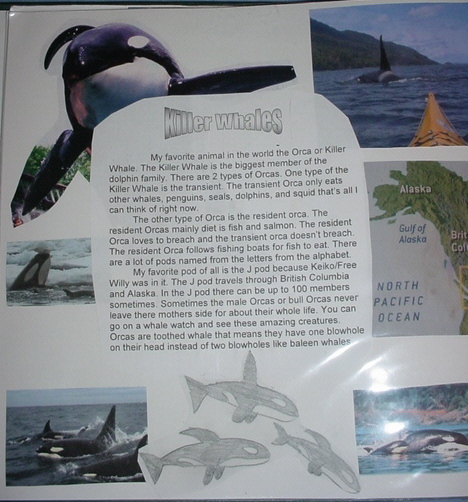 Many children do pages on the animals in the classroom. I have a copier in the classroom to copy family pictures so they can be cropped if that is not available at home as well. 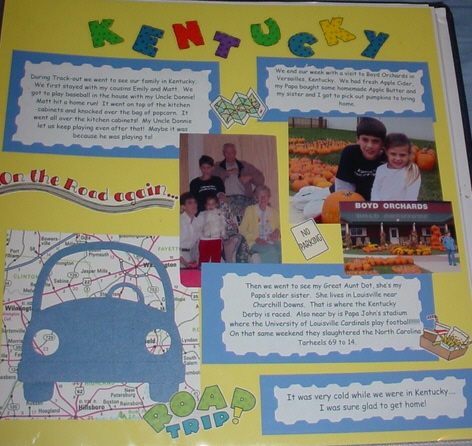 Scrapbook materials are readily available at Walmart, Michael�s, and a variety of other places. I keep a supply of scrapbook paper for students that need it for their projects.